FLINT, MI — Organizers of a Halloween event are doing this year’s ghoulish holiday with a twist. Instead of focusing on the Halloween tradition of giving out candy to trick or treaters, they will be giving out personal care items and a free meal to the community. 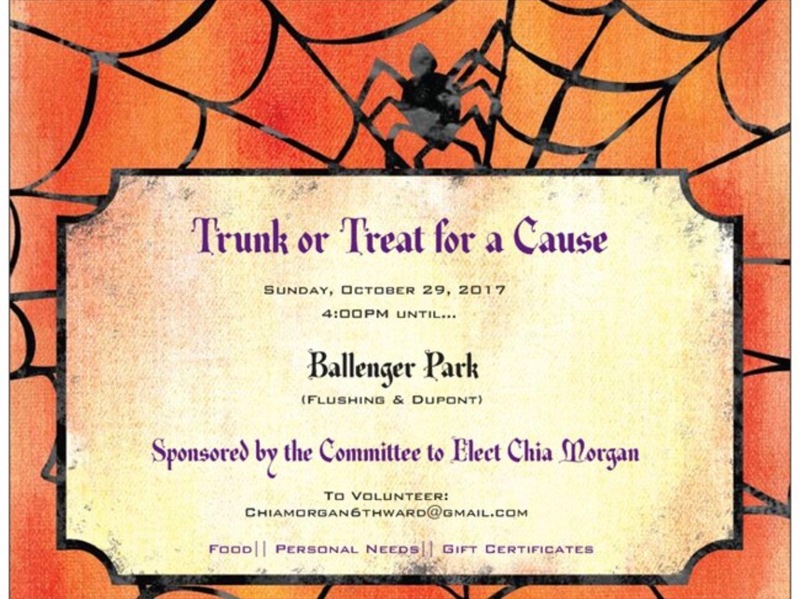 The free event, Trunk or Treat for a Cause, starts at 4 p.m. on Sunday, Oct. 29, 2017, at Ballenger Park at the corner of Flushing Road and Dupont Street in Flint. There will be gumbo and chili served and participants can also get hygiene items like soap, shampoo, feminine products and toothpaste and gift certificates. There will also be candy. For more information, to donate and/or volunteer contact event organizer Chia Morgan at ChiaMorgan6thWard@gmail.com.